Below you fill find all funeral homes and cemeteries in or near Osseo. Suburbs of Osseo: Maple Grove, Hassan, Corcoran, Dayton. Osseo is also known as: Hennepin County / Osseo city. Their current mayor is Mayor Duane Poppe. Zip codes in the city: 55311, 55369, 55569. Hennepin County funeral flowers can be purchased from one of the local funeral shops we partner with. Some of the notable people born here have been: Amanda Brewer (actor). Osseo is a city in Hennepin County, Minnesota, United States. The population was 2,430 at the 2010 census.U.S. Highway 169, County Road 81–Bottineau Boulevard, and Central Avenue–Jefferson Highway are three of the main routes in the community. It was reported by Star-News on March 23rd, 2018 that Joshua Andrew Challeen passed away in Wilmington, North Carolina. Challeen was 44 years old and was born in Osseo, MN. Send flowers to share your condolences and honor Joshua Andrew's life. It was disclosed by Waterloo/Cedar Falls Courier on January 28th, 2018 that Arvid Waschek passed on in Cedar Falls, Iowa. Waschek was 91 years old and was born in Osseo, MN. Send flowers to express your sorrow and honor Arvid's life. It was written by West Central Tribune on May 30th, 2015 that Marlene Lavonne Torney (Fritz) died in Osseo, Minnesota. Ms. Torney was 79 years old. Send flowers to express your sympathy and honor Marlene Lavonne's life. It was revealed by Minneapolis Star Tribune on February 1st, 2013 that Carol Roth (Shogren) perished in Osseo, Minnesota. Ms. Roth was 76 years old. Send flowers to share your condolences and honor Carol's life. It was written by Minneapolis Star Tribune on November 18th, 2012 that Michele Miss "Mickey" Caldwell passed on in Osseo, Minnesota. Caldwell was 57 years old. Send flowers to express your sorrow and honor Michele Miss "Mickey"'s life. It was written by Minneapolis Star Tribune on May 22nd, 2012 that Dorothy Anna Maria Mastley (Thull) passed on in Osseo, Minnesota. Ms. Mastley was 90 years old and was born in Strom AB, . Send flowers to share your condolences and honor Dorothy Anna Maria's life. It was noted by Minneapolis Star Tribune on April 23rd, 2012 that Russell Nelson perished in Osseo, Minnesota. Nelson was 89 years old. Send flowers to express your sympathy and honor Russell's life. It was revealed by Minneapolis Star Tribune on January 24th, 2012 that Edith Mae Swanson passed away in Osseo, Minnesota. Swanson was 91 years old. Send flowers to share your condolences and honor Edith Mae's life. The population was 2,434 at the 2000 census. 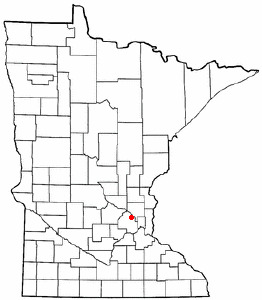 The City of Osseo is located in the northeastern part of Hennepin County, Minnesota. His ancestors were of the Hugenots who came to America to enjoy a freer religion and settled near Boston. Later, O Leferrier and P. In 1865 John Lechtman established a store of general merchandise dealing largely in cordwood. LaBissonnaire. The official website for the city of Osseo is http://www.discoverosseo.com/. Del began her career at Bob Evans Gifts in Osseo, Minn., in 1966 before moving onto Hallmark ... A memorial service will be held at Edgewood Vista, 14890 Beaver Dam Road, Brainerd, MN 56401 on Thursday Nov. 4 at 1:30 p.m. with refreshments following. Evans-Nordby Funeral Homes provides complete funeral services to the local community. Funerals in Osseo, MN on Yahoo! Local Get Ratings & Reviews on Funerals with Photos, Maps, Driving Directions and more. We work with local florists and flower shops to offer same day delivery. You will find budget sympathy flowers in Osseo here. Our funeral flowers are cheap in price but not in value.